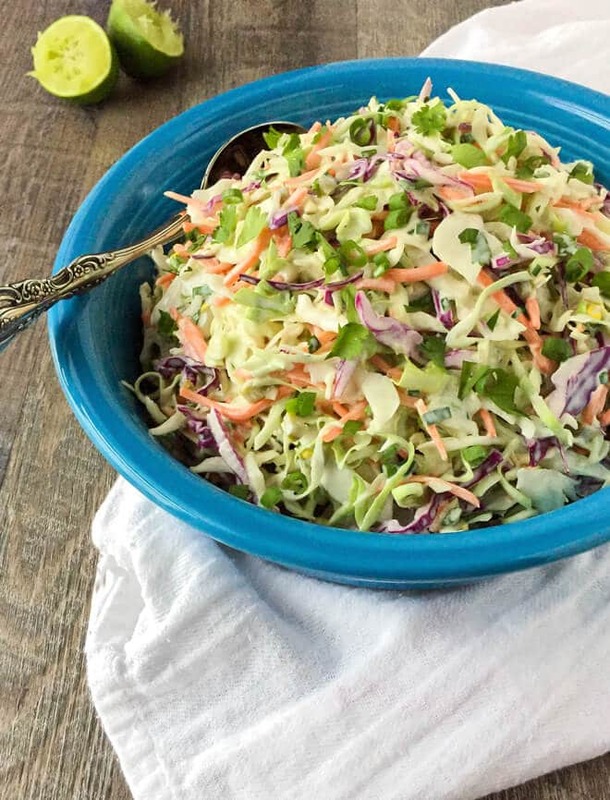 This easy Mexican Coleslaw recipe is deliciously flavorful and spicy. It would make the perfect cookout side dish for all of your Summer parties! I’m a huge fan of coleslaw. When it’s done right, that is. Have you ever had coleslaw that is so drenched in dressing that it was almost inedible? I have, and it is definitely not good. I like just enough dressing that the slaw is well coated. 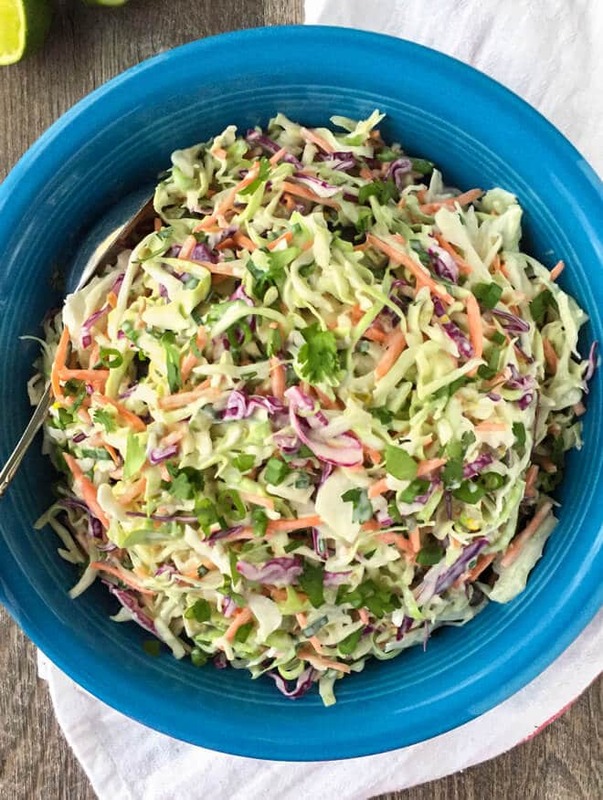 Coleslaw is the perfect dish to help cut through foods like fried fish and barbecue. Those foods need something to help balance them. This easy Mexican Coleslaw is a different spin on the old classic version. Spicy and flavorful, this coleslaw is one you will want to make again and again. I know I sure will be. My husband saw me editing the photos for this post and was like, “Mmm, I want more coleslaw.” Ha! I think that’s a good sign he really likes it! Summer is quickly approaching and that means plenty of cookouts and barbecues. Wouldn’t it be great to serve something that’s a little different than just your plain old coleslaw along with your grilled meats? I took a little help from the store and bought a bag of coleslaw mix. That means this side dish comes together in about ten minutes, which gives you plenty of time to fix the rest of the meal. *I used some of my homemade pickled jalapeños for this recipe. I leave most of the seeds with mine, so it was fairly spicy. If using homemade, you could simply use less or omit the seeds when pickling. If you want less heat and are using store-bought, look for mild or “tamed” on the the label. A good store-bought brand option would be Jeff’s Naturals. 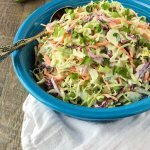 Deliciously flavorful and spicy, this Coleslaw would make a great addition to your backyard cookouts this Summer! In the bottom of a large bowl mix together the sour cream, mayo, lime juice and cumin. Add the rest of the ingredients and mix together thoroughly. Refrigerate for an hour or two before serving to let the flavors marry. By Tempie at May 1, 2018 .